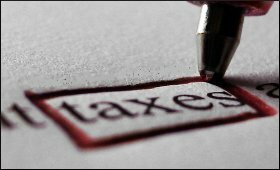 With just five days to go for the roll-out, the government has postponed the provision relating to one percent Tax Deduction at Source (TDS) and Tax Collection at Source (TCS) for two categories of deductors -- government, including local authorities, and e-commerce companies and their suppliers. In a press note, the government said the postponement of the provision relating to TDS (Section 51) and TCS (Section 52) of the Central GST and State GST Act, 2017 has been taken to provide more time for persons liable to deduct tax at source, e-commerce companies and their suppliers to prepare for the historic tax reform. Section 51 deals with deductors who may be a department or establishment of the central government or state government; or local authority; or governmental agencies; or such persons or category of persons as may be notified by the government on the recommendations of the GST Council. Section 52 deals with operators who are e-commerce traders and their suppliers. The note said with the objective of ensuring smooth rollout of GST and taking into account the feedback received from the trade and industry regarding the provisions of deduction of tax at source under Section 51 of the CGST/SGST Act 2017 and collection of tax at source under Section 52 of the CGST/SGST Act 2017, it has been decided that the provisions of Tax Deduction at Source (Section 51 of the CGST/SGST Act 2017) and Tax Collection at Source (Section 52 of the CGST/SGST Act, 2017) will be brought into force from a date which will be communicated later. Persons, who will be liable to deduct or collect tax at source, will be required to take registration but the liability to deduct or collect tax will arise from the date the respective sections are brought in force, the note explained. It also said the persons who were liable to be registered under clause (ix) of Section 24 of the CGST/SGST Act, 2017 (as they were supplying goods or services through electronic commerce operator, who is required to collect tax at source under Section 52) will not be liable to register till the provision of Tax Collection at Source is brought under force. "In other words," the note said, "persons supplying goods or services through electronic commerce operator liable to collect tax at source would not be required to obtain registration immediately, unless they are so liable under Section 22 or any other category specified under Section 24 of the CGST/SGST Act, 2017." This step has been taken to provide more time for persons liable to deduct tax at source/E-Commerce Companies and their suppliers to prepare for the historic tax reform.